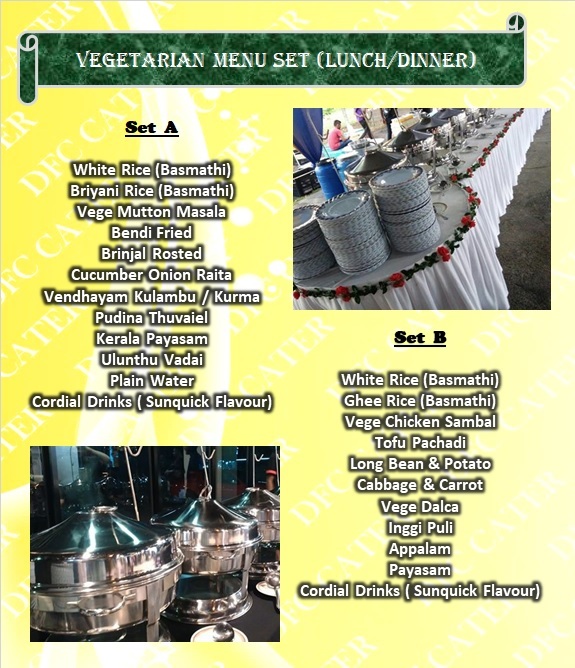 With years’ experience in Malaysian food catering, Our experienced chefs are specialized in Vegetarian & Non-Vegetarian Food. 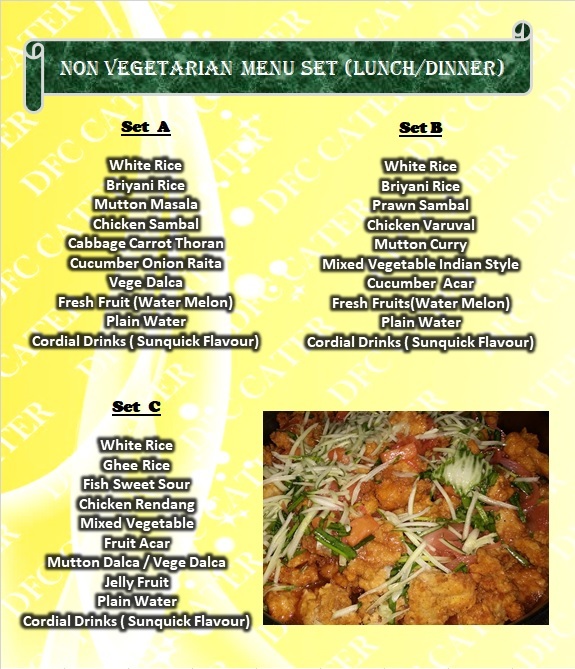 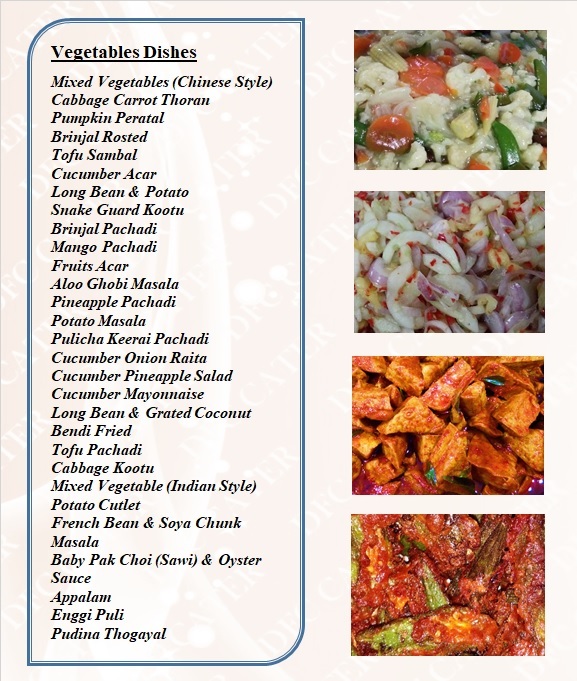 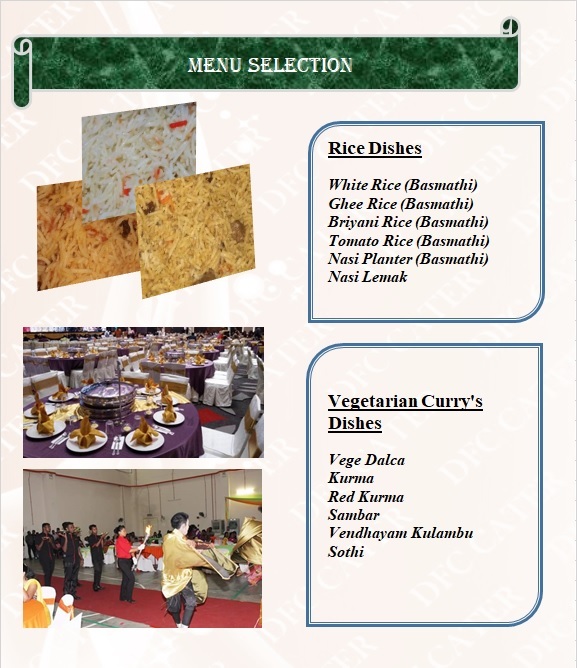 We offer various food dishes and various style of cuisine (Indian / Chinese / Malay / Western) which suits all these occasions. 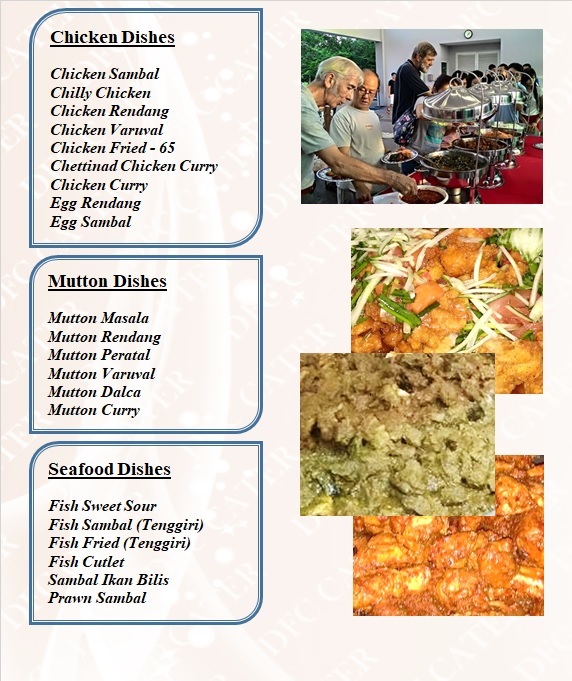 All the menu are carefully studied several time and fine-tune ingredient in order to provide good taste as well as quality food whereby love it by the majority of people. 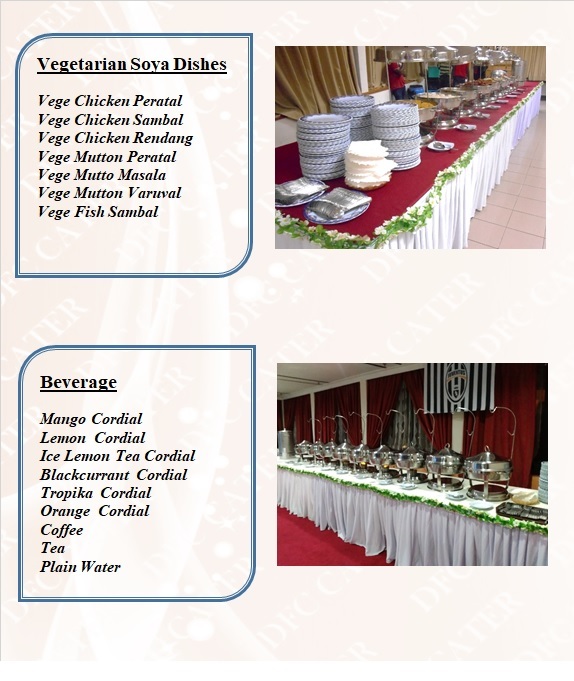 The ingredient used in food catering is Halal certified. 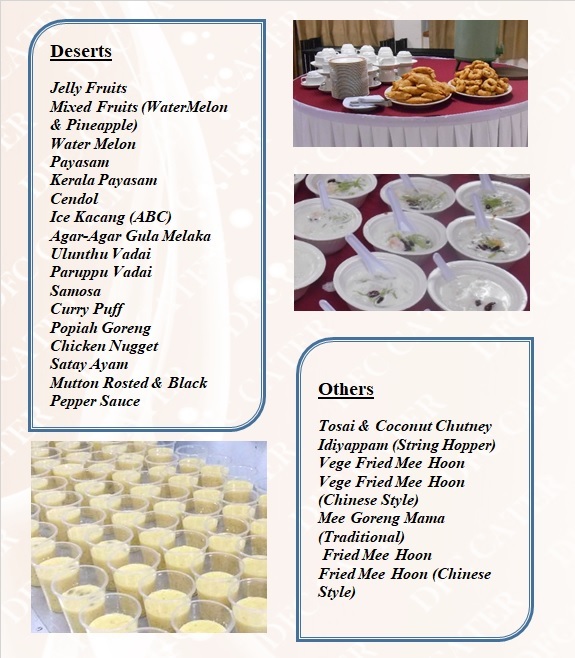 Nevertheless, we also emphasize on food presentable.